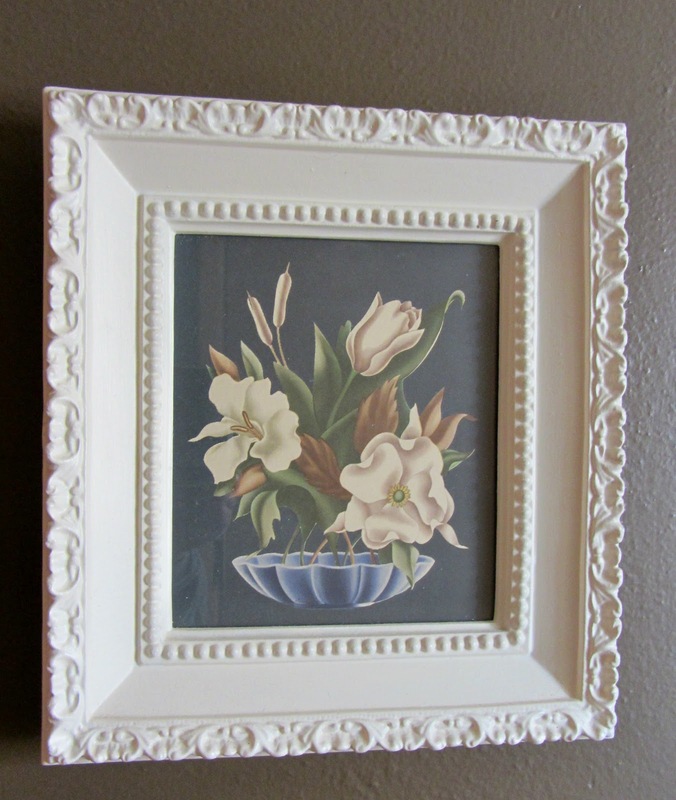 Turner And De Jonge Airbrush Prints Are So Vintage! 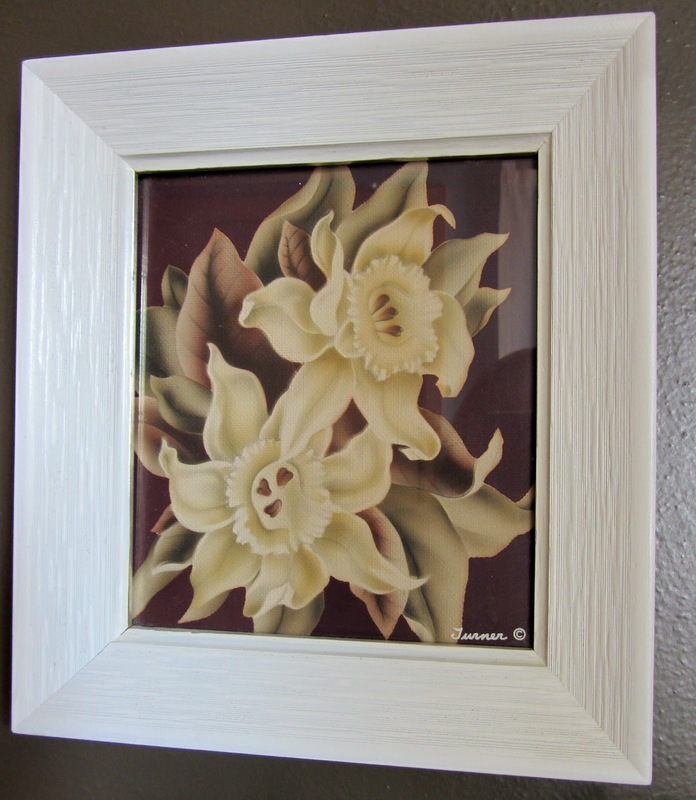 I have always been attracted to the look of Turner and De Jonge vintage airbrush prints. 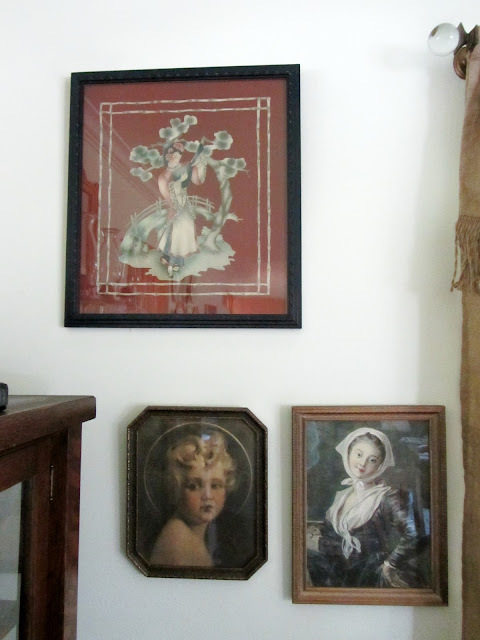 I have four prints in my living room and four in the foyer. Taking photographs of them was near impossible. Glare everywhere! 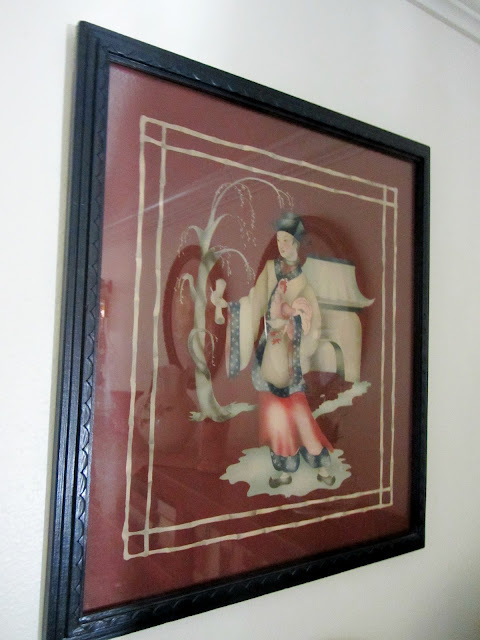 This sweet Oriental man and woman are on a burgundy background. 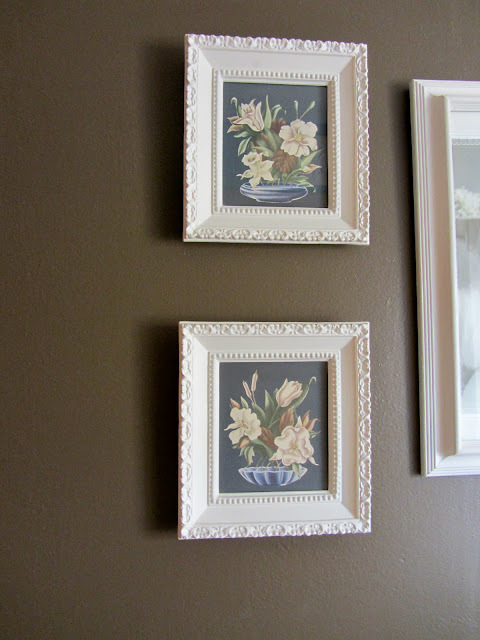 The frames were orginally a burgundy color too, but I painted them navy blue. I purchased these about 10 years ago at a garage sale at $4 for the pair. They are not signed. This pair of oval prints also has a burgundy background and burgundy frame with gold trim. 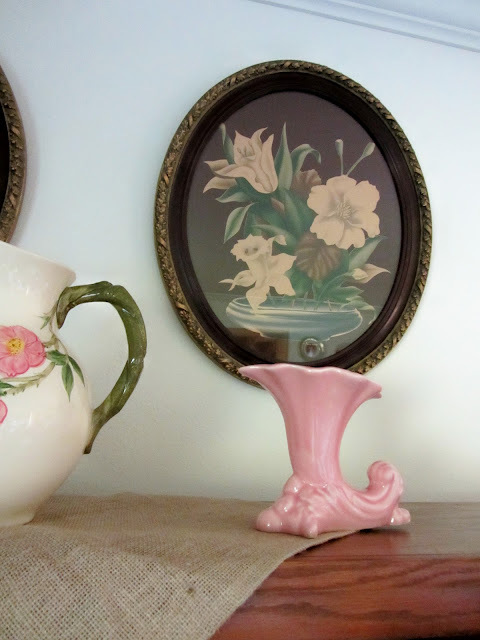 I purchased these at an antique store for about $60 each. They are not signed. 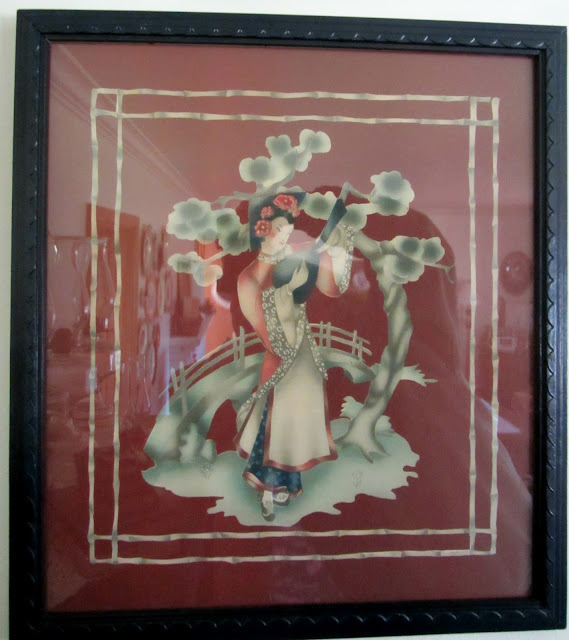 The Oriental man and woman hang on each side of the dining area picture window. And the burgundy floral ones hang over the desk hutch. These two are from a garage sale, cheap! I painted the frames an heirloom white. They are not signed. These are from an antique store at about $30 each. 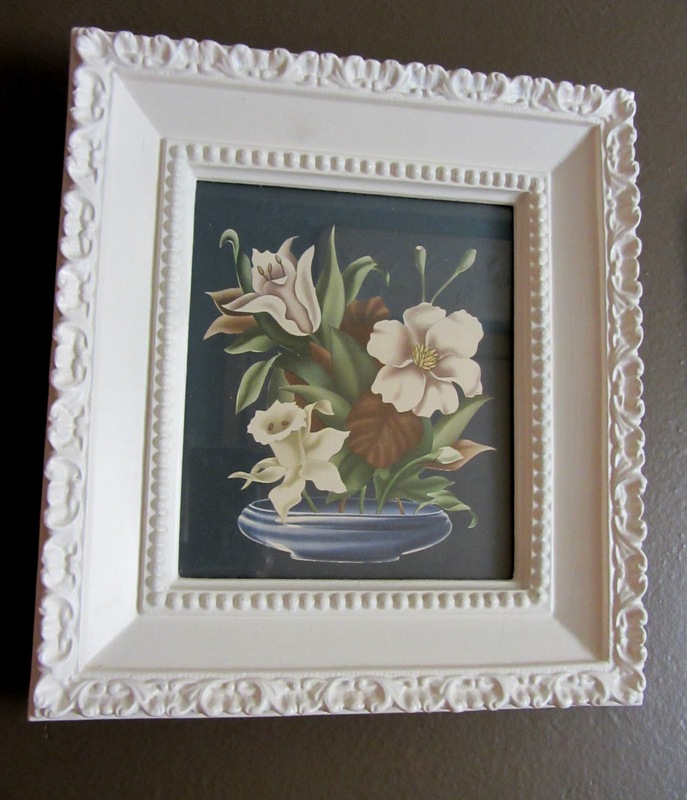 I painted these original frames as they were a dingier white. These are signed Turner. Did you notice anything about the prints? 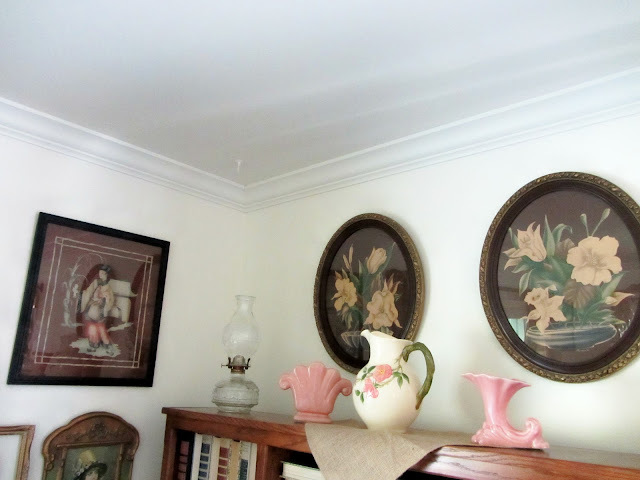 The burgundy oval floral prints are the same floral prints as one of the sets in the foyer. I have one more set of airbrush prints too that are packed up in the closet right now. 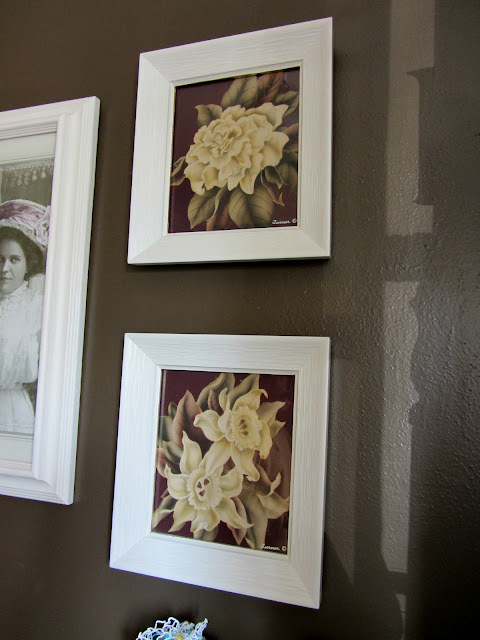 The prints are of an old fashioned man and woman with a mauve background and white frames. 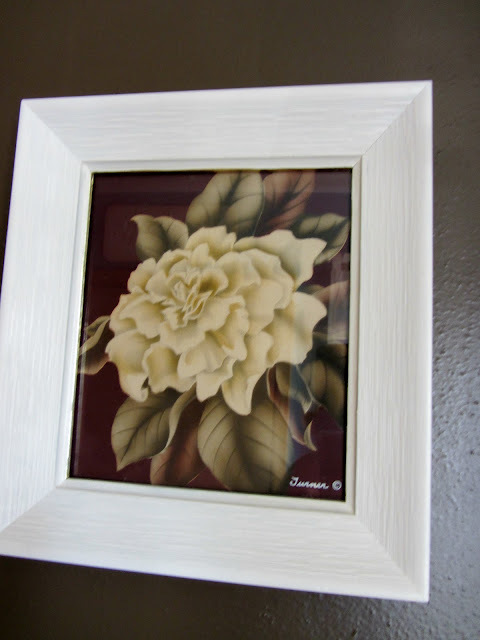 Do you have any vintage airbrush prints? 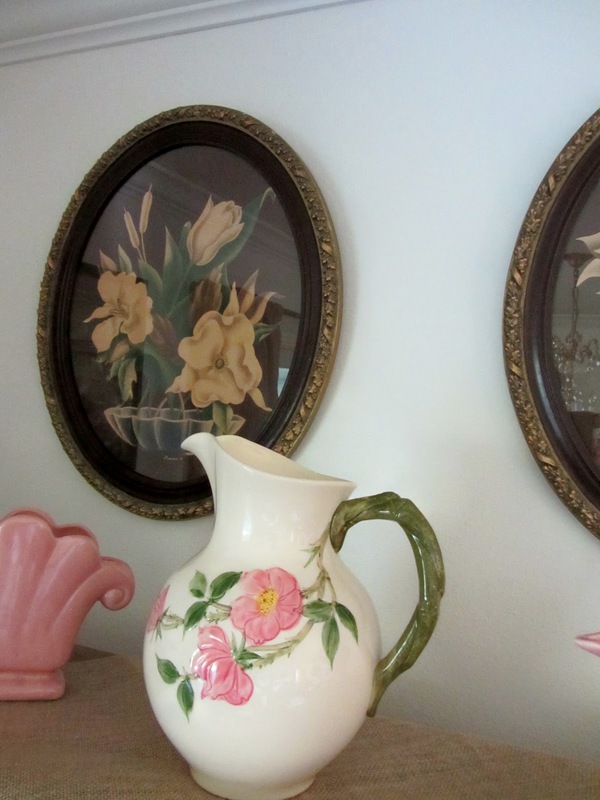 My favorites are the round framed floral prints. So pretty in that shape! (I got a little peek at the new curtains. That oriental one is so lovely. All great finds. My favs are the ones in the foyer. You did a beautiful job with the frames! Thank you for joining TTF this week and I hope you have a wonderful weekend and a very happy Mother's Day! I only have a vintage print in on of my bathrooms. Yours are really beautiful! Have a great weekend! Thanks so much for sharing these great prints with us! I have 5 signed deJonge prints...only one pair in the lot though I wouldn't be surprised to find mates for the other three. I also have a signed Turner which I would love to find the mate to. All except one of my deJonge prints are the ones with the smokey blue background and I absolutely love them. I am certain to have never paid over 10 dollars each and more than likely got them for under 10.